Connie Forrest has over 20 years of experience in industry and financial accounting. She has attained diverse work experience, including working for credit unions, an aboriginal economic development corporation, as well as federal and municipal institutions. She received her designation as a Certified General Accountant (CGA) in British Columbia in 2003, and is now a Chartered Professional Accountant – (CPA, CGA). Her experience is broad and includes many aspects of technical, operational, and administrative practices related to business analysis, risk and change management. She was Controller for a credit union that underwent a tri-merger; this provided an opportunity for her to contribute throughout a period of major growth. As manager of the finance team, she planned and completed numerous projects in the areas of financial instruments, conversions, consolidations, amalgamations, and business process improvement. These projects involved planning, organizing, and working collectively with other professionals from numerous areas of the organization. 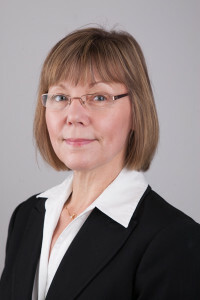 Connie Forrest joined JEDROC Consulting Services in December 2009. Since then, she has worked on several projects including the development of an internal audit compliance protocol for the forest sector; this included development of the risk assessment methodology. In business process reviews, Connie focused on determining the effectiveness of business processes and communication streams between several Alberta government departments; each with partial responsibility for the same process. She brought her business process mapping expertise to these projects utilizing Visio process mapping software. Connie is continually building her knowledge base through professional development opportunities. She has completed her Masters Certificate in Business Analysis through a partnership with the University of Victoria and York University, Schulich School of Business. As well, she successfully completed the suite of courses in ISO 14064 Greenhouse Gas (GHG) including GHG inventories, GHG projects, and GHG verification. She now holds the Environmental Professional in training designation for Green House Gas as an EPt (GHG).